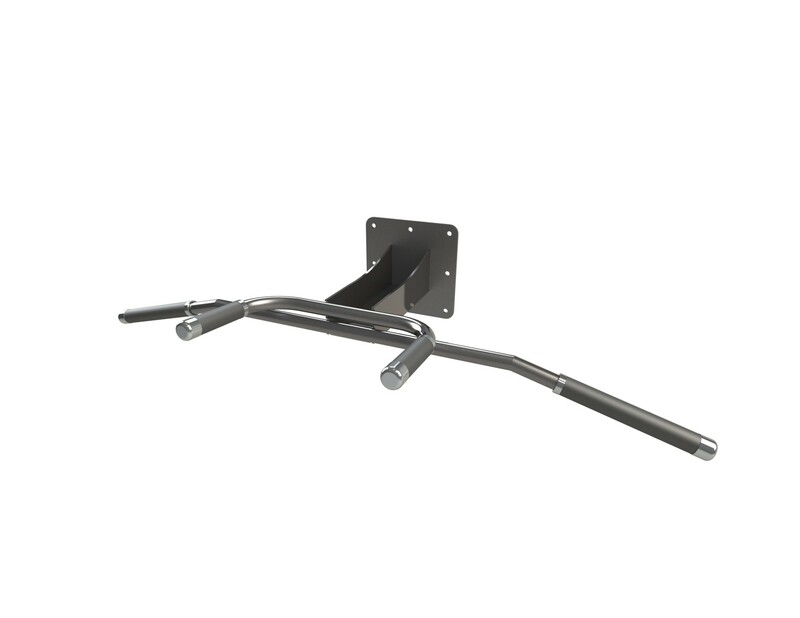 Heavy duty wall mounted chinning bar with rubber handle grips to ensure maximum grip, comfort and safety when using. The multi grip position offers a variety of workouts for training the chest and arms. Easily attached to any solid brick or stone surface, suitable for indoor or outdoor use. Here at Exigo-UK we pride ourselves on being able to offer a comprehensive variety of customisation options. Choose from one of our standard primary or secondary colours, or get the exact match you require, from the many other colour options available on request. Our secondary colours offer a textured finish, which we recommend for increased grip on bars and grip points. All of our equipment is designed & manufactured in our UK factory, giving us complete control over our products. This allows us to engineer custom frame sizes and other requirements to fit your individual needs. Our team of expert in-house designers can produce a full 2D/3D concept gym design to bring all your ideas to life and help you to realise the full potential of your facility.